TomTom’s first running watch was a great first step two years ago. Last year it got even better, with an integrated heart rate monitor. For this year’s watches, TomTom is adding full activity tracker capabilities and the ability to stream music to Bluetooth headphones, all for a pretty reasonable price. There are three versions of the TomTom Spark. The Spark GPS Fitness Watch, The Spark Music GPS Fitness Watch (which adds 3GB of storage for your audio), and the flagship Spark Cardio + Music GPS Fitness Watch, which is almost definitely the one you want because it adds the integrated heart rate monitor. That last one will run you $250, which is pretty solid considering all that it can do. It tracks running (outdoor and treadmill), lap swimming, cycling, and “other” workouts via its heart rate monitor. It also tracks your steps and logs your sleep. It can be used for interval training and it can export your workouts to apps like Runkeeper. 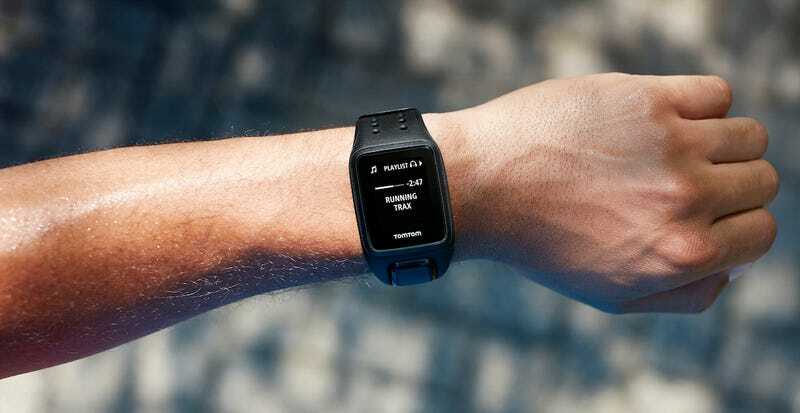 It will have persistent heart rate monitoring (like our favorite fitness trackers) and smartphone notifications added with an update later this year.